Summit Tool and Engineering began operations in 2003. Derrick started his business with over 30 years of experience. He has 20 years of experience in the Special Machine Building industry, 3 years experience as Project Manager in Auto & Manual fixture design and was in charge of a Quality Control Department for 2 years. 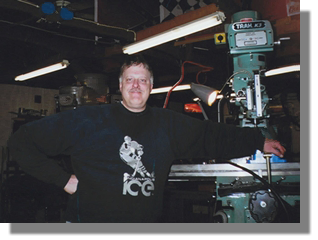 In the first 4 years at Summit Tool and Engineering he was involved with fabrication to print work. In the last 2 years, he has specialized in Maintenance and Repair Parts work. We are located in the middle of the Anderson, Muncie and New Castle, Indiana tri-county area. Summit Tool and Engineering is a machine shop doing all types of detail work. 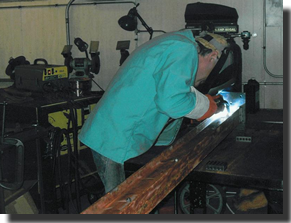 The shop provides machining and fabrication services for a variety industries that include Plastics, Metal Processing and the Automotive Chassis parts machining industry. Summit Tool and Engineering stands ready to help you with your Conventional Milling, Turning, Surface Grinding Welding, 2 -Axis CNC Milling needs. Let us repair your worn components and build your new components. For Your Conventional Milling, Turning, Surface Grinding, Welding and 2 -Axis CNC Milling needs.